Despite turning the corner on holiday style — and with it, an abundance of velvets, sequins, and other festive textures — Pamela Munson reminds us of the power that comes with embracing a classic approach to dressing. Enter her namesake accessories brand. The industry veteran has translated her experiences in working for iconic fashion giants like CHANEL and Oscar de la Renta to build a brand with a recognizable and chic aesthetic. 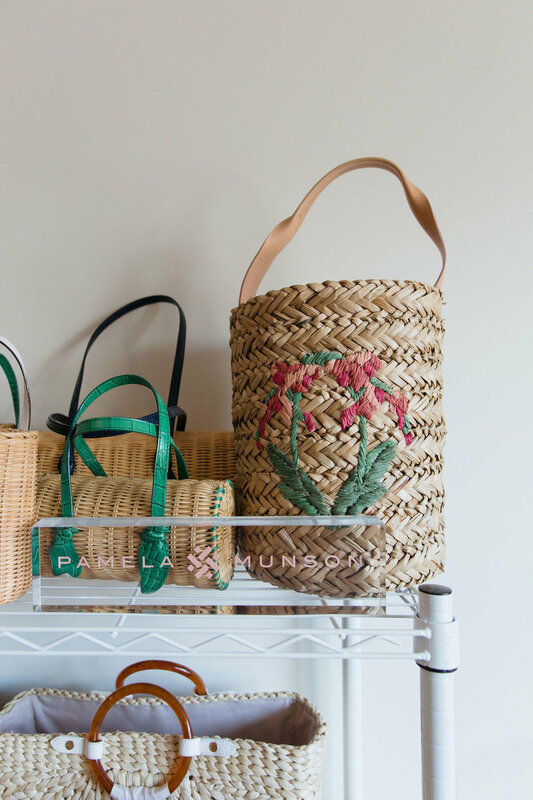 From hats to handbags to belts, Pamela uses straw to create wearable and seasonless essentials that ultimately appeal to all modern women (no matter the weather or time of year). Additionally, the designer also attributes her travels as a core design pillar that profoundly inspires the creation of each piece. With all of this in mind, we got a glimpse into Pamela's process firsthand during our visit to her home studio in Manhattan's charming Sutton Place neighborhood. Below, she discusses her evolution in the industry, what she's learned about feedback and the resources she's been able to tap into as an emerging designer in New York City. Hi Pamela. Please introduce yourself! Thank you for having me. My name is Pamela Munson, and I’m the Founder and CEO of Pamela Munson, a classically inspired straw accessories brand. I’m also a wife and mother. My personal and professional worlds are very fused at the moment since launching my business last year. It’s an all-consuming, around the clock, seven days a week commitment but I wouldn’t have it any other way. After graduating from NYU, I spent 15 years in the fashion industry in a sales and merchandising capacity at CHANEL, Oscar de la Renta and Bergdorf Goodman. I started my career in buying in the Saks Fifth Avenue Executive Training Program and then shifted to wholesale where I could focus more on one brand strategy and vision at CHANEL. Before launching my brand in May 2017, I was the head of U.S. RTW at Oscar de la Renta which was truly my “dream job” if there ever was one. It wasn’t until my daughter turned one that I started to question what I was doing, how I was spending my time and looking for greater meaning in my professional life. Personally, I recently celebrated my ten year wedding anniversary and have two daughters, Beatrix and Agatha, and a Pekingese. Owning a business is very much a family affair – my husband has been incredibly supportive and helpful in so many ways, and my daughters help with packaging and love to model the handbags and hats. How have you remained true to the brand's core vision and lifestyle while also incorporating feedback from your customers? I spent a lot of my childhood in Florida and the Bahamas with my grandparents, and this really informed a lot of the collection and its spirit. I saw an opportunity for classic, timeless straw that had elevated finishing but at an accessible price point. The collection is expressly classic but with a dash of nostalgia – which pays homage to the glamour of my grandparents and the 50s and 60s. There is a vintage feel and nod to the past in everything we do – from the silhouettes to the colors, and imagery. When I launched the brand last year, I launched with six styles called The Essentials – the essential straw bags every woman needed. The overall aesthetic has remained consistent from season to season – classically inspired straw handbags. I think we’ve most evolved by elevating the classics, pushing forward with improved craftsmanship and materials, as well as offering a broader range of styles and new product category launches. I ultimately want our clients to view straw as a “seasonless” material – like leather or canvas – something that can be worn all year. With the above question in mind, do you have any advice for designers looking to master that delicate balance? I love receiving feedback from clients. It’s important to keep an open mind and listen while not comprising your brand values. We’ve incorporated more “packable” materials since receiving some client requests. It’s something I wanted to design into after receiving the feedback. What is the most rewarding (or challenging) aspect of building your brand in New York City? What are a few resources — like Brand Assembly — that you've found to be most helpful in the city? Resources – whether it’s a special ribbon or trim – and a community of fashion people has been most helpful. Also, when looking to connect with buyers, the majority of retailers are NY based, so there is the opportunity to meet outside of Market and show your collection. Being in New York, from great people watching, to walking along Madison Ave, to museums and galleries to its natural beauty is always inspiring. Do you find your design process shifting between each product? What has been your favorite design discovery as the brand has grown to include each of its categories? My aesthetic is fairly consistent regardless of product category. I’m telling a story about a lifestyle – a life well-lived – and each category helps to complete the look. Our hats are made in Brooklyn, and our belts are made in Italy. 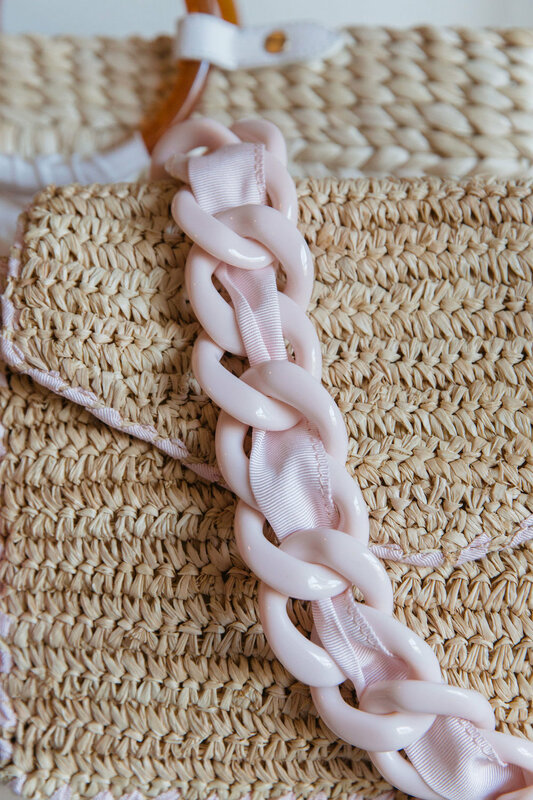 All of the straw is handwoven, so there’s an incredible artistry to it and beauty in knowing that each piece – whether it’s one of our bags, or hats or belts is one-of-a-kind. 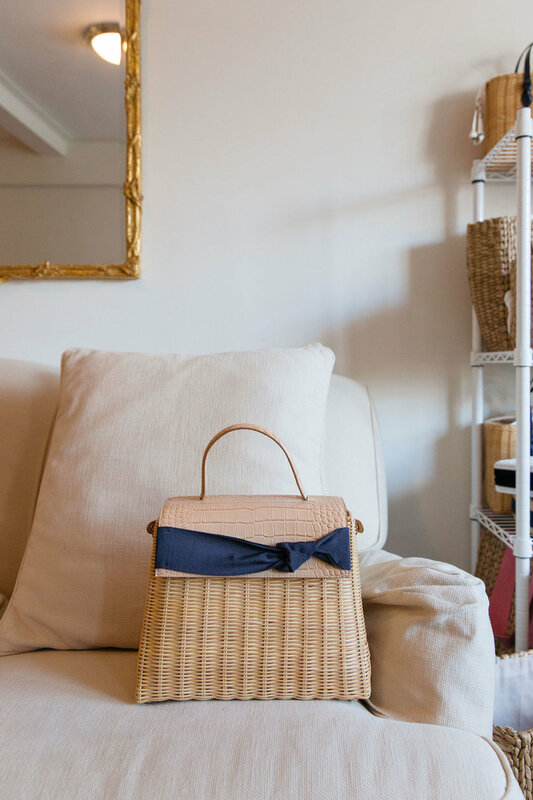 Our best-selling Isla Bahia tote takes about 15 hours to hand weave. Talk to us about how you connected with Brand Assembly. How has being part of this community helped elevate and grow the Pamela Munson brand? A mutual business partner connected me with Hillary and the Brand Assembly team. It’s been a great step forward to have a partner in managing the back office logistics of running a fashion business. We are a lean team, so to work with Brand Assembly and have them help with order processing, logistics, and shipping coordination is a huge relief. I can focus more on creating and strategy and the zillion day to day tasks required to keep it all moving. As the founder, has there been a particular "department" or task that you've had to immerse yourself in more than you initially thought you would? 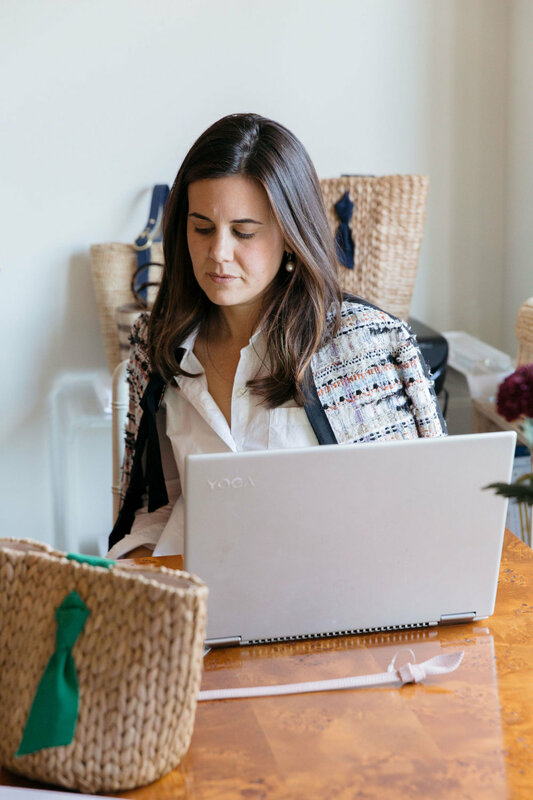 I’ve worked in the fashion industry at both brands and retailers and have experience working with all organizational levels – from executive to entry level – so I’ve been exposed to a lot and have a broad base. The bane of my existence right now is production! It’s such a critical role within a fashion organization and crucial to executing a beautiful product and seeing your designs realized but it is very technical and time-consuming. It’s also the area I’ve had the least exposure to previously. Also, as we produce our handbags in Asia, there is a 12-hour time difference, so there are many Skype calls late at night or early in the morning to connect. What can we expect from the Pamela Munson brand in the coming months and what legacy do you hope to leave in the fashion industry? We are continuing to explore straw and how to present it in new ways to our client. For Summer 2019, we will be introducing two new fabrications that will be complementary to our straw product. I’d love to explore RTW or Jewelry as an extension of the brand, but that wouldn’t be until 2020 or 2021. As for legacy, all of the great designers have each created a signature look or style. If I achieve this, I’ll be very happy.